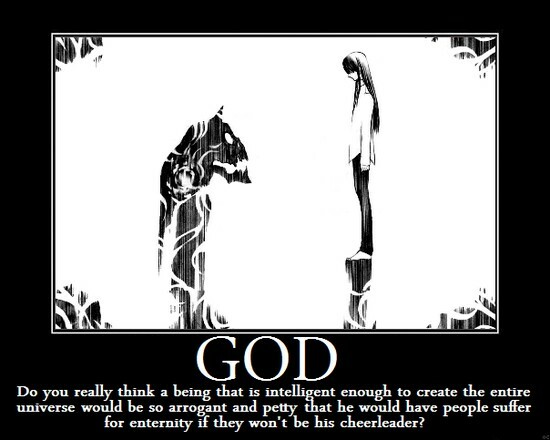 If there were a God, we'd be far too insignificant for him to even care. It's like when I had seamonkeys; I had better things to do than sit there and watch the tank 24/7. Really, either way you suffer eternally, the way I see it eternal bliss would be eternal boredom.